Houthis group (Ansar Allah) in Yemen said that the peace calls launched by the national leadership in Sanaa stem from the concern to stop the shedding of the Yemeni blood and from a position of strength rather than weakness as they are calls for peace launched by brave men, calling the Yemeni government "legitimate" as a puppet group driven by the Arab coalition to support Saudi-led legitimacy. 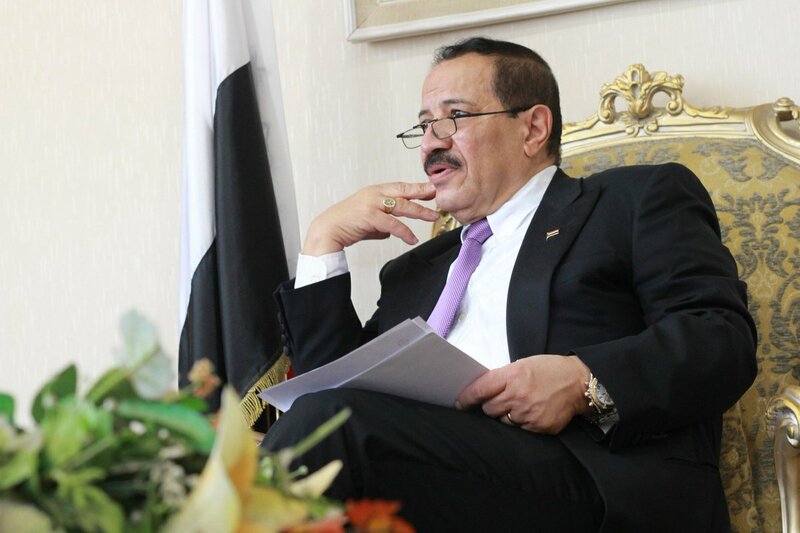 Houthi-run Yemen's "Saba" News Agency reported that Hisham Sharaf, the foreign minister in the Houthi government, said in a press statement that: "A just and honorable peace is needed, which unify people rather than separate them and achieve stability for Yemen and its people.". He accused the Yemen's internationally recognized government of being "a group of individuals with their own interests away from Yemen and its people in the northern and southern provinces. Regarding to the meeting held by the Foreign Minister of Hadi's authorities on April 11, 2019, at a special headquarters of the Saudi government in New York, with members of the UN Security Council, he said that the attempt of Saudi Arabia can not change at all the fact of the Saudi-backed authorities of the resigned Hadi or be able to improve its image before the Security Council and that confirms to the whole world beyond any doubt that the Riyadh-hotels government of Hadi is only puppets driven by the coalition of aggression whenever they wants. He pointed out that this position shows that Saudi Arabia and its masters in the American administration in Washington are the first and final decision makers in the continuation of this war and in hindering peace. It has triggered what the UN calls the world's worst humanitarian crisis, with most of the population in need for a type of humanitarian aid and immediate protection, including 14 million people risking famine and some 1.8 million children suffering malnutrition.